Leigh Electrical have over 50 Years experience in the installation, removal and replacement of electrical sockets in Essex homes. Given the modern proliferation of electrical devices indoors, many homeowners find that the original sockets that are within the property are no longer sufficient for the amount of devices they need to safely connect at one time. Leigh Electrical offer a fast, cost effective and convenient solution to this problem. We install all types of electrical sockets if fresh ones are required or can move and replace existing sockets that have become damaged or degraded. Please give Leigh Electrical a call on 01702 873350 and we will gladly come and supply you with a fixed no obligation quote for these works. 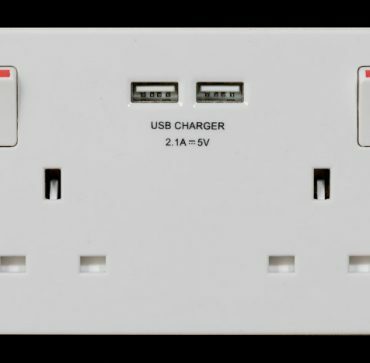 We offer the latest sockets on the market including a variety of high end finishes and ultra modern USB sockets. Our qualified, prompt and highly rated Electricians work 7 Days a Week to ensure minimal disruption to our customers. As full NICEIC members, all of our Electrical work is covered by the complete NICEIC 5 Year Guarantee. This ensures our customers complete peace of mind when contracting with Leigh Electrical for Domestic Socket and Power Point installations and upgrades. Call us today on 01702 873350 or submit a contact form below and we will come straight back to you. Socket Installation in Southend – Why Leigh Electrical? Leigh Electrical offer power/plug socket installation, replacement or removal at extremely affordable rates throughout Southend-on-Sea and Essex. Our electricians provide this service 7 days a week and will gladly work in the evenings to ensure a minimum of disruption for our customers. We are registered with TrustMark, which is the Government backed scheme to help the public to find reputable and trustworthy tradespeople. 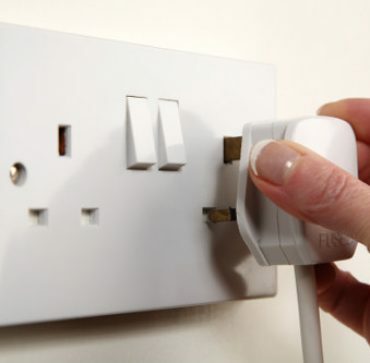 Plug socket installation, removal or replacement can typically be completed in approximately an hour. For more information regarding our power socket services, please call our office directly on 01702 873350. Leigh Electrical can supply a wide variety of plug sockets to suit your decor or can happily attend and fit plug sockets that you have purchased yourself. Alongside assisting Southend homeowners with cost effective and safe plug socket installation, replacement and removal, we offer a full compliment of other domestic electrician services in Southend-on-Sea and the surrounding Essex area. Please see the following link to see previous examples of our work in Southend and Essex.